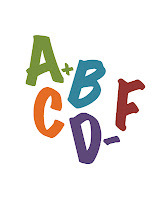 TALK CLEAN TO ME: Disinfectant Chemistry Report Card - Do Quats Make the Grade?? Disinfectant Chemistry Report Card - Do Quats Make the Grade?? As Nicole and I strive to bring our readers interesting and relevant topics relating to infection control and environmental cleaning, we are always happy to receive suggestions from you, the reader. One consistent recommendation from the readers we’ve spoken with is a comprehensive review of the most widely used disinfectant chemistries. Infection control practitioners, environmental services management, occupational health and safety professionals, directors of care or nurse managers are often saddled with the responsibility of selecting the disinfectants for their organization. Unfortunately, this decision is often made without the knowledge of what truly sets each distinct disinfectant chemistry apart from one another. Therefore, Nicole and I hope that through a monthly blog focussing on disinfectant chemistries we will be successful in imparting some basic chemistry knowledge so that when the time comes to select the disinfectant, you can confidently make an educated decision. Before we delve into a review of our first disinfectant chemistry, we must include the caveat that our brief reviews cannot possibly encompass all of the disinfectant chemistries available on the market – of which there are over 300, or each and every iteration of that chemistry. The purpose of these postings is to provide you with the salient points as to what differentiates one disinfectant chemistry from another. More often than not, we will utilize key decision making criteria such as: speed of disinfection, spectrum of kill, cleaning or detergency capabilities, safety profile, environmental profile, cost effectiveness and ease of use as the measuring stick for each chemistry. Without further ado, let’s jump into our review of quaternary ammonium compounds, forthwith referred to simply as Quats. Quats are ubiquitous in our modern day culture as they can be formulated to address a multitude of applications ranging from fabric softeners and anti-static agents to pharmaceutical preservatives to disinfectants. The antimicrobial capabilities of quats were first observed in the 19th century and have been used in disinfectant formulations ever since. Over the past several decades, chemical formulators have repeatedly manipulated the molecular structure and experimented with various blends of quats developing several generations of quats in the process. All in an attempt to continually improve their performance across various criteria. The exceptionally broad use of quat disinfectant products – both consumer and commercial applications included – can largely be attributed to several characteristics. Quats are widely regarded as very stable and highly dilutable making them viable, cost-effective solutions for general cleaning and disinfection. Furthermore, at the concentrations typically used for surface disinfection, quats are generally considered quite mild and innocuous requiring very few controls or precautions in their use. When used as a standalone active ingredient (no added alcohols or solvents) quats do however suffer from less than stellar germicidal performance. Generally speaking, quats are only readily effective against easier to kill microorganisms such as vegetative bacteria (Staph. aureus, Salmonella sp., etc. ), enveloped viruses (Influenza A, HIV, etc.) and fungi (Aspergillis sp., etc.). However, even in the case of these relatively easy to kill pathogens quats often require a contact time upwards of 10 minutes to do so. Hardier microorganisms such as non-enveloped viruses (Norovirus, Rotavirus, Hep A, etc. ), Mycobacteria (M. terrae, M. fortuitum, etc.) and Bacterial Spores (Clostridium difficile) are not effectively addressed with the use of a quat based disinfectant. This can be a major detractor for use in healthcare settings where these pathogens are commonplace. With these key points fresh in your mind, how would you grade quats as a disinfectant chemistry? A 10 minute contact time is mediocre or average amongst disinfectants and ultimately unrealistic to achieve disinfection on a regular basis. Narrow spectrum effectiveness against only bacteria, fungi and easy to kill enveloped viruses is nothing to write home about. Other disinfectants will be required to supplement the use of quats in healthcare. Although quats carry some detergency capabilities, cationic surfactants are inferior to the cleaning efficiency of non-ionic and anionic surfactants found in other disinfectant formulations. At their in-use concentrations, quats are generally non-toxic and non-irritating for users. However, older generations have been known to contain hormone disrupting components. Likewise, added dyes and fragrances are common which can cause sensitivities or even negatively impact indoor air quality. Quats are known to accumulate in the environment and because of their widespread use this ultimately raises aquatic toxicity concerns. Newer formulations have been formulated to achieve Eco-certifications such as Green Seal and EcoLogo. Because quats are highly dilutable their cost in-use is minimal. **For more in-depth scientific information about Quaternary Ammonium Compounds and other disinfectant chemistries, stay tuned to www.infectionpreventionresource.com. You have shared nice information about Quaternary Ammonium Compounds. thanks! Plus the quat binding issues come into play which changes procedures and methods when using microfiber charging buckets.